A favorable Tax Court ruling looks promising for the continuity of benefits available to business owners interested in forming captive insurance companies to mitigate their risks and take advantage of the income tax benefits. UltraTrust.com takes a look at this wealth transfer and financial planning strategy. 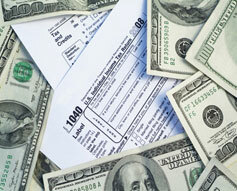 Tax Loopholes for business owners are still out There if one know what they are doing. Certain tax and wealth planning benefits provided by CICs have prompted the United States Internal Revenue Service (IRS) to increase scrutiny and examinations of these structures (3); but, as we can see in Rent-A-Center, Inc. v. C.I.R., 142 T.C. No. 1 (2014)., captives are still viable entities when it comes to certain tax deductions. Captive insurance companies (CICs) are defined by the National Association of Insurance Commissioners (NAIC) as legal structures established for the purpose of insuring risks faced by owners of business enterprises (1). A CIC can be formed as a domestic business entity, but interested parties may also go offshore and seek foreign incorporation for this purpose (2). …In a way, the millions of dollars the company spent on litigation against the IRS probably came from the savings realized through years of CIC coverage. At the heart of Rent-a-Center v. the Commissioner of Internal Revenue, there is a large commercial enterprise that has substantial levels of risk through numerous locations and complex operations (5). This is a brand that operates all over the U.S. and thus must operate with considerable levels of liability. As is often the case with such large commercial enterprises, Rent-a-Center ran into certain operational risks that proved expensive to insure through third-party commercial insurance companies. “The Rent-a-Center CIC structure is quite complex, but what the IRS seemingly had an issue with were the large payments made by the company to the CIC they controlled. The IRS determined that these were not tax deductible for insurance premiums, which are normally deemed as trade or business expenses deductible as per Section 162 of the Internal Revenue Code (6). Mr. Beatrice’s further commented that “The Tax Court opinion is important on two levels: The first being that the IRS has shown a certain disposition towards examining CIC structures as sham entities, which the Tax Court did not see in Rent-A-Center, Inc. v. C.I.R. (4). The other is that public opinion of the CIC industry is bound to improve as a result of this ruling. CICs are not for everyone, but for business owners who face estate and taxation issues these structures can be excellent wealth preservation tools. It may take a few months before the CIC and estate planning industry learns of a possible appeal by the IRS in this case. The dissenting opinion on the ruling (4) was strong, which indicates the possibility of an appeal. However, as Jay Adkisson notes on his Forbes article on this issue (5), case law shows that appellate courts have not been entirely favorable to the IRS in previous issues related to captives.